The effects of the modern day housing crisis on everyday families this winter period. When we hear the word homeless, many of us envisage a person on the street with a sleeping bag and little to no belongings. However, it is important to acknowledge the huge number of homeless families and children who we don’t see day to day. Over 2,600 children in the South West face spending this Christmas homeless and in temporary accommodation, the highest level recorded since 2009, new analysis of government figures shows. Alarmingly, figures also reveal that the number of families living in emergency B&B and hostel rooms across the country has risen by a worrying 18% in just a year, as local councils battle to find homeless families anywhere else that is stable or affordable to go. To shed light on the harsh realities of modern day hidden homelessness, the charity Shelter carried out in-depth interviews with 25 families currently or recently living in emergency B&Bs, hostels or sofa-surfing. Some of the investigation’s most shocking findings included more than three quarters of families saying they felt their accommodation was unsafe, with the worst accounts involving exposure to drug abuse, fighting, and strangers sleeping in the corridors. 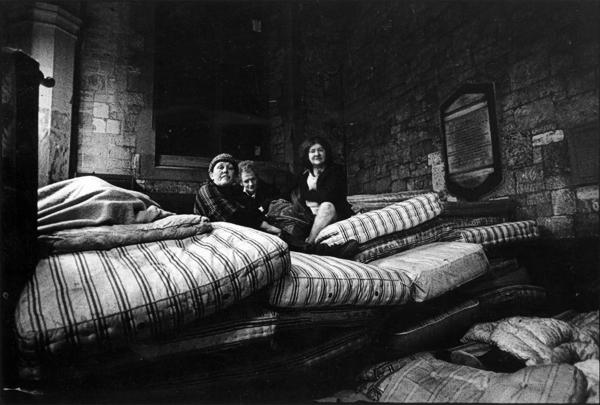 Every family lived in a single room without any space for the children to play, and over half of parents also had to share a bed with their children. Three-fifths of families had to share toilet and bathroom facilities, often in a poor and unsanitary condition, with other residents. More than two-thirds of families said their room was in a state of disrepair, including reports of mould, broken beds and stained mattresses, as well as more serious hazards like sparking electrical sockets and windows that would not close. It is not just the physical factors such as lack of hygiene and poor living conditions which affect these families, 18 of the 25 families interviewed said their children’s mental and emotional health had been badly affected, with accounts of children becoming anxious, isolated from their friends and struggling to sleep. Over half of the parents said their children’s development was negatively impacted. Campbell Robb, chief executive of Shelter, said: “Almost daily we hear from parents desperate to escape the single cramped room of a B&B or hostel that they find themselves struggling to raise their children in. Imagine having to eat all of your meals on the floor, share a bed with the rest of your family, or being too frightened to leave your room at night – these are things no parent wants their child to endure’’.